Jokingly, it’s been said that there’s a sixth love language – the love language of sleep. Never a truer statement! There’s no better way that my husband can show his love for me than letting me sleep in. With a two-month-old baby at home, my body is majorly lacking in the sleep department. Although I can’t always control the quantity of my sleep, my recent visit to Sleep Number has taught me that there are ways to control the quality of my sleep. 1. Select the perfect pillow: Upon arriving at the Sleep Number store, I was asked to select my pillow of choice. It was explained to me that a quality night’s rest must begin with a comfortable pillow. Do you prefer a soft pillow? Something with a little more firmness? 2. Find a comfortable bed: It’s been shown that a comfortable bed can drastically improve the quality of sleep you get each night. When choosing the perfect bed, you want to find something that contours to the shape and size of your body. Because your body changes over time, it’s important to find a bed that changes with your body – like a Sleep Number. 3. Find your Sleep number: Because you can adjust the sleep setting of your Sleep Number, it’s important to find your correct sleep number. 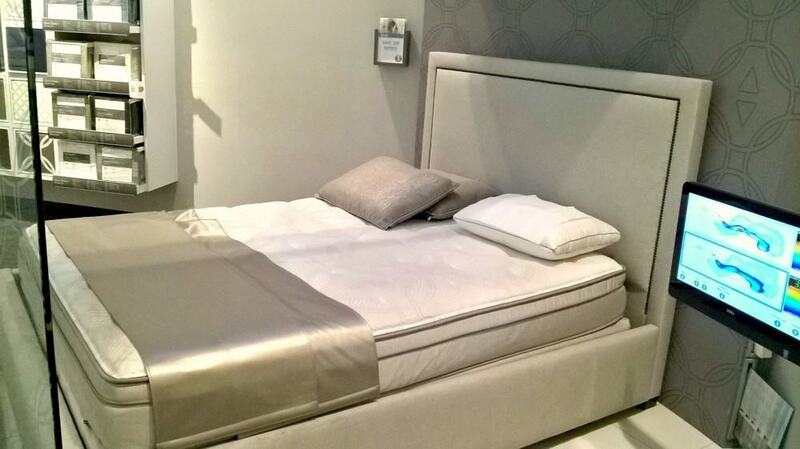 When vising the Sleep Number store, I was asked to lie down on this bed. It was explained to me that Sleep Numbers range from 5-100 (5 being the softest and 100 being extra firm). Upon feeling the different sleep numbers, I was able to select MY sleep number: 30. It was crazy how I could instantly feel back relief and added comfort when lying down. Just look at the picture below! 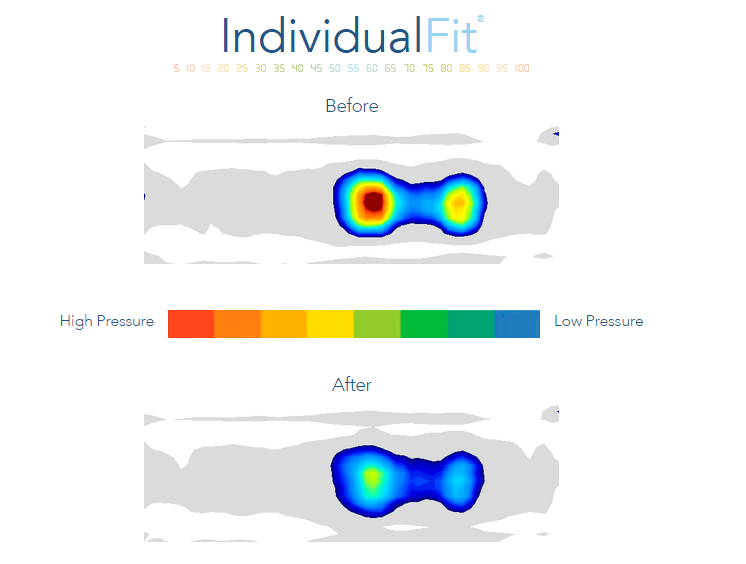 You can easily see how my sleep number took away all of my back pressure. To be completely honest, it was so comfy, I almost fell asleep! 4. Utilize SleepIQ® technology: SleepIQ® technology allows you to track the quality of your sleep through Advanced DualAir™ technology. The best part about it, all you have to do is sleep! When you wake up, you can track your night’s sleep, restlessness, average heart rate (mine is 70), and breathing rate (mine is 16). 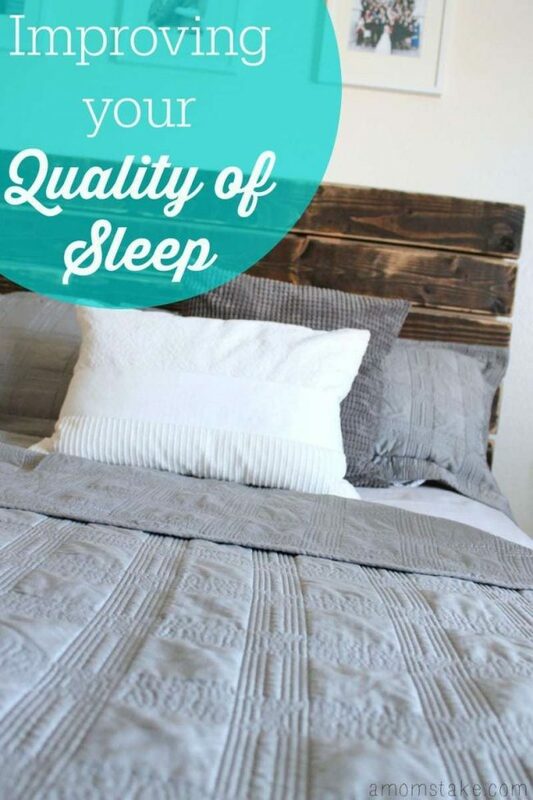 Based on the quality of your sleep, SleepIQ® technology provides tips for improving your sleep. Getting a quality night’s sleep has never been easier thanks to Sleep Number. Why do you want/need a Sleep Number bed? I’ve never tried one of these beds, but I am always trying to get a better nights sleep. These are such great tips. Having a comfortable bed can make all the difference! We have a sleep number bed and love it. we are looking at the pillows to buy very soon! A GOOD night sleep is so important. Luckily, I have never had sleeping issues, but my hubby in turn has always dealt with this. Going to consider this! We hope you’ll both stop by and check them out, Myrah! Let us know if we can help find a store in your area. I would love a sleep number bed. I have always wanted one. I am a horrible sleeper and this bed just calls my name. Come visit us whenever you’re ready, Lena! Just let us know if we can help find a local store in your area. There is nothing like a comfortable bed. We got a new one a few years ago and it replaces one that was so old you could feel the wires. It would be awesome to have an adjustable bed that would make both my husband I happy! That does sound like a comfy bed. Thanks for the sleep tips. Lately I’ve had a hard time sleeping through the night. I think a sleep number could help me with that! I want a sleepnumber bed because we are way over due for a new bed. I would love to have an awesome upgrade like this! We hope you have a chance to get one soon, Sarah! Get in touch with us anytime if we can answer any questions for you in the meantime. What a wonderful bed! I wish we could get a new one- I know a sleep number would be a wonderful addition to our house! I have always wanted to try a Sleep Number Bed. I will have to replace my mattress soon. I love getting a good nights sleep! I take my 8 hours very seriously around here! That’s so cool! I do have a hard time sleeping occasionally. I would love to be able to customize a mattress to fit my needs. I know it would benefit me and my hubby greatly! I would love to have a sleep number bed. My husband likes the bed softer and I like it firm. This would be great for us. Sounds like it could be a great fit, Lisa! Stop in whenever you and your husband have a chance and we’ll help you find a bed that’s perfect for both of you. I have a 6 week old, so I’m right there with you on the lack of sleep! I would love to have one of these beds. It’s on my wish list! All this talk about sleep makes me realize that I haven’t been sleeping the best lately. I really need a new mattress! OMG, I love sleep number beds since my husband and I are so different. I like a firm bed and he loves a soft one. We are actually saving up to get a Sleep Number bed. I really need it, because of lower back issues. It is such a nice bed and it turns out me and my husband have different numbers. His needs to be softer while I need firmer. I’m all for getting a good night’s sleep. We hope you can get yours soon, Allie! Let us know if we can answer any questions for you in the meantime. I want one because I have such a hard time sleeping. I think one of these beds would really do me some good. There’s a great chance it could help, Mistee. Come visit us next time you’re around and we’ll help you find a bed that’s perfect for you!